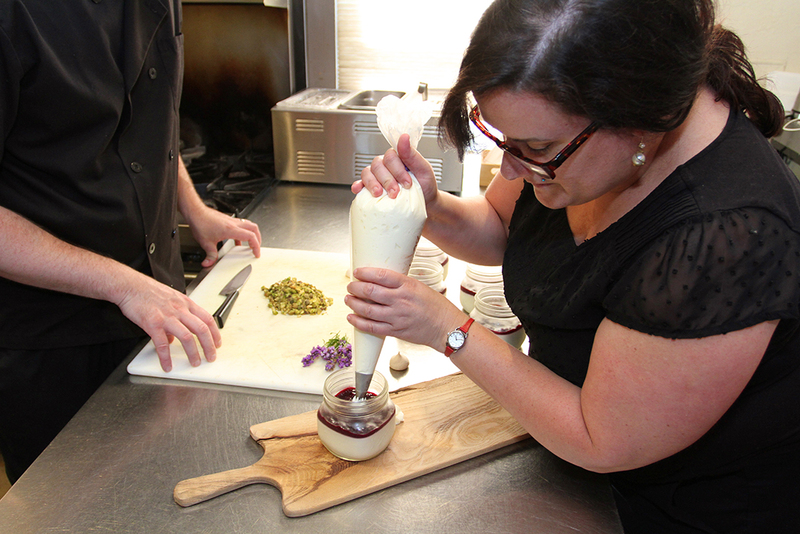 From cooking in Keltie Domina’s restaurant kitchen to pioneering the foodie experience in Westfield on Park Street, Toby and Melanie Miles have seen Westfield’s food offerings come a long way. In 2014, there weren’t many options within city limits for a unique dining experience. Hungry patrons had to venture outside of the city to experience something new. The Miles family decided to change that with the creation of the Rail Epicurean. The Rail Epicurean was the first restaurant to open on Park Street. It launched about the same time four other Westfield restaurants were on the verge of closing. Toby said they had no expectations, and when the Rail opened, it only offered lunch, local groceries and a few wine dinners. “(When) we opened, the first few months of trying something new was really difficult because Westfield had been so used to the same thing over and over and over again,” Toby said. 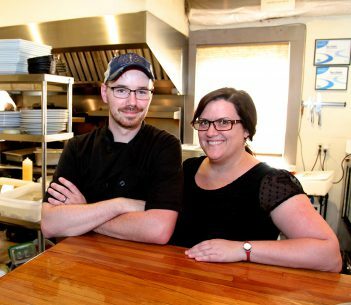 In time, Toby and Melanie realized two unique things about Westfield and restaurant row on Park Street – the locals were what Toby calls “fiercely loyal,” and anytime a new restaurant opened on Park Street, everyone’s sales increased. Greek’s Pizzeria, The Italian House on Park and Chiba all followed the Rail Epicurean, and each opening created what Toby calls “co-op-itition,” not competition. As for what was and what Westfield’s foodie experience is now, Keltie Domina credits Toby and Melanie Miles for taking a risk with The Rail. Keltie’s Restaurant and Catering originally opened in October 2002 and remained open in downtown Westfield for nearly 10 years. Domina and her husband, Joe, eventually bought the Angry Donkey restaurant in Michigantown. They still reside in Westfield, and Domina said she and her husband have a goal of opening another restaurant in Westfield. They are searching for sites that will fit their needs. Mix all dry ingredients in one bowl and all wet ingredients in a second bowl. Slowly add together until just combined. Season both sides of breast with salt and pepper. Starting with the skin side down first, sear on medium-high heat for 5 to 8 minutes or until skin is crispy. Flip the duck and cook for 5 more minutes. Remove from heat and let rest. Place ingredients in a saucepan and bring to a boil. Reduce heat to a simmer and cook until the mixture coats the back of a spoon. 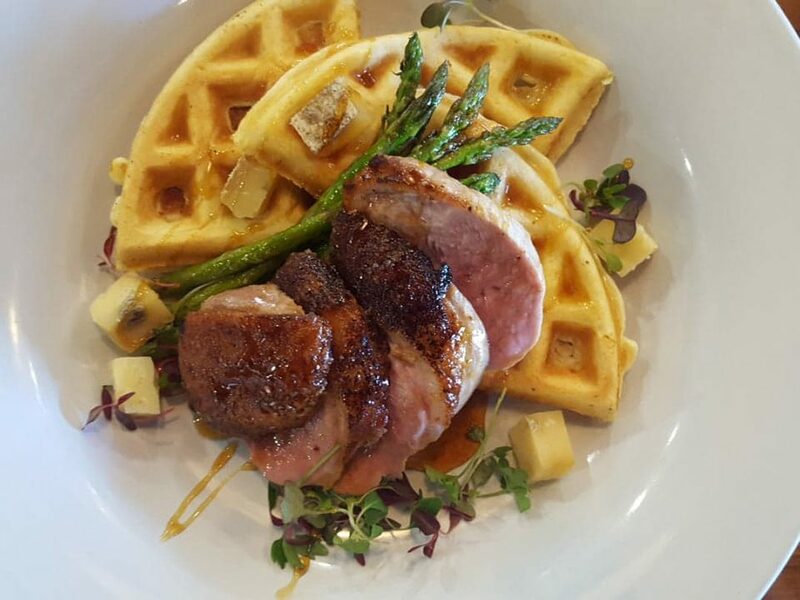 To plate the meal, prepare the waffles in a waffle iron and slice the duck breast after resting. Garnish with your favorite sharp cheddar pieces, maple gastrique and sautéed asparagus.